This list is designed to show prospective business students the fifty bestanked business schools in North America. Programs are ranked according to what most potential MBA students are looking for in a degree: results. We’ve looked at the average starting salary and bonus of graduates as well as their employment rate in their preferred field three months from graduation. While many of the nation’s very top business schools are on our list, a number are also particularly accessible through online learning options. We’ve done the research for you and outlined which top 50 programs may be completed online below as well. If you’re currently looking at MBA programs as a way to fast-track your way into a high-paying career; one that can allow you to have a higher quality of life and be more financial secure. We hope you find this list informative and enlightening. The MBA continues be the most prestigious degree in business – and one of the most popular advanced degrees in all higher education. From 2006-2016, many business schools saw applications double; the US News top 10 business schools received nearly 5,500 applications. Why the uptick? Probably reasons you’d expect. First, return on investment. While MBA tuition is steep, the degree dramatically increases long-term salary potential and often facilitates immediate career changes (raises, promotions, increased responsibilities, etc.). Elite programs boast a 10-year ROI as high as 250-325%, and many MBA graduates receive five-figure signing bonus. In short, most MBA degrees are well worth the tuition, and the new trend in accelerated MBAs may help reduce costs. On a related note, the MBA offers unparalleled career stability: every industry and every sector, whether public or private, needs knowledgeable business professionals with technical expertise, leadership and management skills, and strategic insights. That also means MBA graduates enjoy broad career flexibility. Business and finance popular professions, but many MBA alumni lead successful careers elsewhere: information systems and technology, media and entertainment, healthcare, public policy, sports administration, education, and nonprofits, among others. Traditional on-campus programs are still the most popular option for MBA candidates, but online MBA degrees are quickly catching up. Of course, the brick and mortar MBA has its benefits: face-to-face instruction, collaborative opportunities, and all the other tried-and-true features of a physical learning community. If you’re interested in a full-time MBA and don’t have additional responsibilities, a traditional on-campus might be the best fit; you’ll be able to focus exclusively on your studies. On the other hand, if you’re a working professional or adult learner, the online MBA offers a flexibility that the brick and mortar does not. In many cases, course work is self-paced, and many online programs feature an asynchronous component – that is, lectures are prerecorded. You take classes when you have time to take classes. At the same time, online degrees also simulate the traditional classroom experience. Live streaming classes are common, including interactive capabilities. Many programs offer hybrid and mixed degrees, combining online and on-campus classes. Digital learning platforms streamline student-instructor communication and promote collaborative learning through chat rooms, discussion boards, and more. Course material is available 24/7. Every online MBA is different in the same way every brick and mortar MBA is different; students need to research individual programs to determine which meets their needs. Some MBA candidates prioritize learning style, others select a program based on its scheduling flexibility. Another important factor? Specialization options – which leads us to the next point. But many MBA candidates want to specialize in a discipline: either they are pursuing a particular career and want to combine advanced business courses with sector-specific courses, or they already have a career in a specific sector and want to enhance their skills and knowledge base. Alternatively, maybe they’re making a career change. Regardless, MBA specializations allow students to expand their studies and customize the curriculum to fit their interests. Though by no means necessary – for many employers, a standard MBA is enough – specializations are an excellent way to enhance the degree. International Business: Interested in how business works on a global scale? The International Business MBA is a multidisciplinary track with courses including Global Strategic Management, Global Supply Chain Management, Global Finance, Comparative Institutional Systems, and more. An increasingly popular specialization that can prepare you for a career in business as well as international policy. Marketing: A common MBA specialization designed to prepare candidates for managerial roles in marketing, advertising, and public relations, with instruction in market analysis, strategic marketing, quantitative and qualitative methods, and more. Supply Chain Management: With employment opportunities projected to grow 25%, the Supply Chain MBA covers distribution, cost efficiency, project management, lean management, data management, warehousing, and logistics, among other areas. Careers span multiple industries: manufacturing, consulting, retail, transportation, technology, e-commerce, and more. Real Estate: Whether your interest is in residential, commercial, or state/federal properties, the Real Estate MBA is highly specialized degree that includes additional customization options. Courses may include Finance and Securitization, Real Estate Development, and Investment Strategy, and graduates can be found working at investment banks, real estate investment trusts, and real estate consulting groups. Entrepreneurship: One of the more flexible, wideanging MBA specializations. Advanced entrepreneurship classes are, of course, great if you want to start your own company, but this specialization prepares students for any career: corporate, contractor, freelancer, small business owner, or otherwise. Learn the key strategies, methods, and decision-making skills of successful organizations, and how to manage high-stakes business situations. To be clear, not every business professional needs an MBA, and in some cases, a more master’s degree is more appropriate. For instance, healthcare professionals may prefer a master’s in Health Care Management over an MBA in Healthcare Administration. MBA specializations in Nonprofit Management are available, but the master’s in Nonprofit Management provides a more in-depth view of the sector. As always, before you commit to any track, it’s important to do your homework beforehand. Dartmouth College (Tuck) has a unique and inspiring approach for a business school. Tuck believes that it is critical for tomorrow’s leaders to have a global mindset when it comes to business and business relations. Due to this belief, Tuck requests of its business students to participate in its diversified global exchange program. This exchange program allows students to learn in countries such as Brazil, Egypt, China, India, Germany and Norway. This exchange program helps to deepen a student’s understanding of a foreign country’s educational and business practices, while at the same time it helps to deepen a student’s understanding of global business practices as a whole. As a student at Tuck, you will have unique opportunities to work with partnered companies as an intern, getting hands-on experience with the business world and its functions on a global and national scale. Obtaining an MBA from Tuck will present graduates with outstanding employment opportunities. With 95.1% of students being employed within three months of graduation and 99% of students being offered jobs within the same time period, an MBA from Tuck is a great way to jumpstart your career in business. Some of the top hiring companies that recruit Tuck graduates include eBay, Pepsico, Intel, Citi, Morgan Stanley and Windows. Tuck admissions strongly advise prospective students to set-up and interview with the admissions office in Hanover–business attire requested–to set the tone for the student’s academic career at Tuck, which will help teach students business etiquette before they ever even start attending. The Darden School of Business at University of Virginia believes in a hands-on approach to learning business acumen. At Darden, you will discuss real-world business cases in the classroom as opposed to just listening to lectures. Darden students are then expected to apply the knowledge they gain to the business field through experiential learning, consulting projects, club leadership and more. With Darden’s approach to learning business, it’s no wonder they have the second highest average starting salary / employment percentage out of all the business schools in the United States. Darden utilizes what’s known as the Case Method of learning. The Case Method is a four-part learning method that consists of reading case material on your own while identifying problems and defining alternatives, then sharing your ideas with your learning team to discuss problem areas. Afterwards, you discuss the case with the rest of the class and finally you reflect on your initial assessment of the case and view how your understanding has changed due to the input from the group as a whole. This method has allowed MBA recipients from Darden to gain a deeper knowledge of business practices and have been able to apply what they learn at Darden to the real world. The University of Chicago Booth School of Business’s curriculum, faculty and community are all designed to strengthen students as business professionals by giving them the tools they need to succeed with highly flexible and challenging MBA courses. Founded in 1898 and accredited since 1916, Booth is the second-oldest business school and, as such, has had a long history of producing excellence in the business world by producing excellent business students. As a student of Booth, you will have access to this long-standing and long-proven tradition of business excellence. At Booth School of Business, students will have a choice between three different schedule formats that offer the same education and degree. The formats are full-time, evening and weekend MBAs. Both the evening and weekend formats allows students the flexibility they need to obtain their MBA while continuing to advance their career at the same time, a very easy way to better your life while you live it. This flexibility can really give Booth students the edge they need to advance in their professional lives, which is exactly what the faculty at Booth wish for their students. At Wharton University of Pennsylvania, educators strive to push students to their limits in an effort to transform them into successful leaders in business. With over 200 electives in over 15 interdisciplinary programs, Wharton offers business students a lot of room for growth. At Wharton, students will have access to a rigorous knowledge base that they can pool from and utilize to help make real, tangible impacts in the business world after graduation and even during the degree program through entrepreneurial and internship opportunities. With an MBA from Wharton, students can be recruited by over 650 top companies that frequently recruit Wharton graduates. This can help any student find a meaningful career in business where they can make an impact. Wharton also offers life-long access to its MBA Career Management services and MBA alumni career services, further assisting students to find a career in business where they can effect real change. At Duke The Fuqua School of Business, the faculty is determined to provide an environment of diversity in the classroom and in the business world. Fuqua believes that diversity is what makes business dynamics so powerful in the world, and they strive to bring this understanding into the classroom through a rigorous course designed to teach students everything they need to know to become the highest quality business and not-for-profit leaders in the world. Fuqua is also at the forefront of inter-scholastic work, applying business knowledge to health, environment, and policy issues amongst other things. This allows for a fully integrated learning experience. The MBA program at Fuqua is designed to allow students to teach as much as they learn. The faculty insists students be an active part in the education process and to foster and open classroom environment. Fuqua believes this is the key to success as it allows students to see business cases from many different perspectives and opens up discussion into the deeper meaning behind business practices and how they influence the world at large. Fuqua also utilizes the case method in teaching it’s students, along with lectures and class discussions in an effort to tailor the teaching method into the most optimum learning environment. At the Haas School of Business University of California Berkeley develops innovative leaders through culture, capabilities and hands-on learning with their applied and innovative courses. The MBA course at Haas is focused on teaching critical capabilities such as problem framing, leadership communication and team performance. Haas offers a wide variety of electives and dual-degree programs to ensure attending students are able to get everything they want out of their education. The MBA program at Haas has a mandatory Applied Innovation Course that allows students to gain practice in solving real-world business problems and that emphasizes innovative leader capabilities. These experiential opportunities range from corporate innovation projects with major firms to global consulting work. Overall the MBA program at Haas is designed to teach students how to become effective leaders in charge of high-performance, high-impact teams in the business world. Haas’ approach to teaching business has led to many successful professionals in the business world. At Northwestern Kellogg has been teaching students business since 1908. Kellogg has a wellounded MBA program because they believe students should learn general management aspects as opposed to just specialized topics. Kellogg faculty believe that because students are learning a more wellounded curriculum, they are going to approach problem solving differently as business leaders because they will have a better grounded understanding of business as a whole. In addition to the challenging core program offered at Kellogg, there’s also over 200 electives available for students to take, even further advancing their understanding of business and it’s subtle nuances. The MBA program offered by Kellogg offers experiential learning and global experiences. With over 7 campuses and 37 exchange programs, Kellogg offers students an opportunity to witness and learn how the global economy works, how foreign cultures and business practices impact the business world as a whole and how to become an effective business leader regardless of where their career path takes them. Kellogg allows its students to partner with international companies to impact and drive business in their Global Labs and International Field Research courses. Columbia Business School offers students a unique opportunity to learn business in the center of one of the world’s largest business hubs. Centered in the global hub New York City, Columbia Business School offers its diverse and entrepreneurial students daily access to influential industry leaders in an effort to teach dynamically shifting industry standards and world influencing theories in business practices. The faculty at Columbia are the forerunners in their respective fields, producing groundbreaking research across multidisciplinary fields. This provides students at Columbia with some of the most cutting-edge business research and top-of-the-line lectures and discussions with powerhouse industry leaders. The MBA program at Columbia Business School is designed to teach students to not only navigate the rapidly evolving world of business, but to create new business opportunities out of the chaotic nature of business. The MBA program achieves this through the use of its 150 full-time faculty–leaders in thought and business practices–to its 100 adjuncts–practitioners from a multitude of influential industries that choose to share their insights into topics ranging from global economy to business etiquette. Offering an absolute wealth of knowledge, Columbia is one of the leading schools in theoretical and practical business applications and management skills. Georgia Tech’s Scheller College of Business is located in downtown Atlanta. The location of this school offers a unique learning experience, as over 75% of Fortune 1000 companies have a strong presence in Atlanta and Atlanta is ranked 4th in the number of Fortune 500 companies headquartered within city limits. This means Atlanta is a great place to obtain your business education, with access to seminars and lectures from these powerhouse corporations. The region also hosts 1,250 multinational corporations and is ranked as the 10th largest cyber city–a city boasting a large number of high-tech jobs in different disciplinaries. Scheller teaches a blend of business knowledge and tech savvy know-how, ensuring its students are able to stay cutting-edge in the business world, regardless of their industry. Scheller’s MBA program emphasizes teamwork, diversity, and real-world application in the coursework, allowing students to learn how to be a part of a cohesive team working towards learning problem solving and leadership skills. As a student of Scheller, you will also have access to the Jones MBA Career Center to help supplement your business knowledge by gaining real-world experience through internships, part-time and full-time jobs. The Jones MBA Career Center counselors will help you develop a career strategy, explore your MBA options and prepare you for the interview process for starting your career in business. Emory University’s Goizueta Business School provides its students with the knowledge to identify and attain their fullest potential in the industry of their choosing. With more than 30 concentrations, extensive leadership development and top 5 national career results 3 years in a row, Goizueta Business School is a leader in the continuing development of the business industry. Goizueta takes an “evergreen” approach to teaching, meaning they only teach you what you need today in a way that’s relevant to the current business market. Founder Robert Goizueta said, “Leadership is one of the things you cannot delegate. You either exercise it, or you abdicate it.” and that’s the basis of the programs at this business school. Goizueta Business School gives its students the knowledge and experience they need to become outstanding leaders in business. The MBA program at Goizueta offers academic, experiential and reflective courses to arm their students with what they need to be successful. The Goizueta Business School is a part of Emory University, located in downtown Atlanta, which affords students a very excellent chance at affecting real change in the industry with the knowledge they will obtain from industry leaders and powerhouse corporations. Goizueta offers one-year and two-year MBA programs designed to fast-track students on a successful career path in the industry of their choosing. This program is particularly suited for students seeking to get into the business aspects of the healthcare industry, as they will have access to a wealth of knowledge that stems from being a branch of Emory University. This, however, by no means limits students to the healthcare industry, as the program is designed to be all inclusive and to cover every aspect of today’s ever-growing business industry. 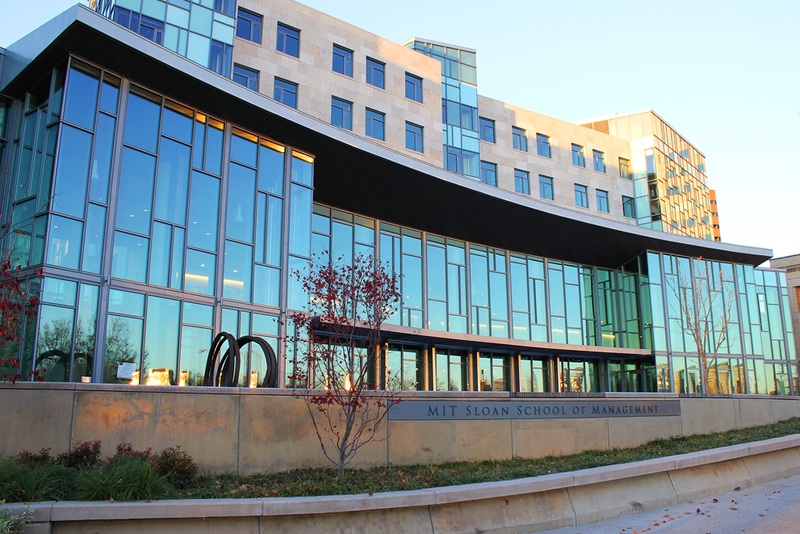 The MIT Sloan School of Management, based in Cambridge, Massachusetts, is one of the world’s leading business schools. In all of aspects of working and learning, students follow MIT’s motto of mens et manus, or mind and hand, as they seek practical solutions to real world business problems. This ensures that Sloan students are mentally prepared to effect real change in the world and are given the tools that they need to do so. MIT Sloan provides students with unique opportunities to get hands-on management experience through their signature Action Learning program and study tours.Their faculty and students work side-by-side with corporate or not-for-profit partners to apply lessons they they take from the classroom to some of the world’s most significant business challenges, often traveling to developing countries to work with peers and local entrepreneurs to improve critical systems and services available in those countries. The MBA program offered at MIT Sloan School of Management offers students the ability to partner across campus with the main MIT school to creatively solve global problems and bring new ideas from the lab to the marketplace with the expertise in science and engineering that MIT offers. This gives students a wonderful opportunity to unite these disciplines in an educational quest to learn how to become effective leaders in a number of different fields, technical and non-technical alike. As a student of MIT Sloan, you will gain access to a network of more than 120,000 MIT alumni from more than 90 countries, all united in a quest to make the world a better place and who are offering to share their experiences and knowledge with each other in an effort to bring out the best in all MIT alumni. Washington University’s Olin Business School is a smaller campus, which allows for a deeper level of interaction, participation, and program customization between faculty and students. Located in the heart of the Midwest, Olin is one of the country’s leading research-oriented business schools with a network of partners on campus, in the St. Louis community, and on a global scale. Not only that, but the campus is situated in St. Louis, a city that is home to nine Fortune 500 companies, allowing students to receive seminars and lectures from leaders in these companies. With 73 Tenure / Tenure-Track, 40 adjunct and 24 visiting lecturers, Olin has a lot of valuable experience and knowledge to impart on its students. The MBA program at Olin is designed to promote innovation and entrepreneurship amongst its students. With a commitment to maintaining an inclusive community that is welcoming, nurturing and intellectually rigorous, Olin can make a great fit for any student seeking to learn how to become an industry leader. The MBA program at Olin allows its students to have access to resources such as Olin’s Wells Fargo Advisors Center for Finance and Accounting Research, Center for Research in Economics and Strategy and their extensive Business Library. While enrolled in the MBA program at Olin, you will be able to be counseled by some of the top business leaders in the country, such as the founder of Build-a-Bear Workshop, the Former President of Anheuser-Busch, the Former Chairman and CEO of Monsanto amongst many others. At Harvard Business School, students will have access to resources and research that befits attending a prestigious school with a long history of excellence. The Harvard Business School’s campus gives students an opportunity to interact with their fellow students and the school’s faculty inside and outside of the classroom, allowing students to broaden their perspective and to further enrich their learning experience. Offering joint-degree programs through Harvard’s other prestigious campuses, students have the opportunity to specialize their business degree by obtaining a second degree at Harvard’s Law School and Medical School, amongst others. The MBA program at HBS consists of teaching students through the use of case method courses, FIELD projects, multimedia simulations, lectures, seminars and group discussions. This allows students to learn a wideange of business aspects via a wideange of effective teaching methods. 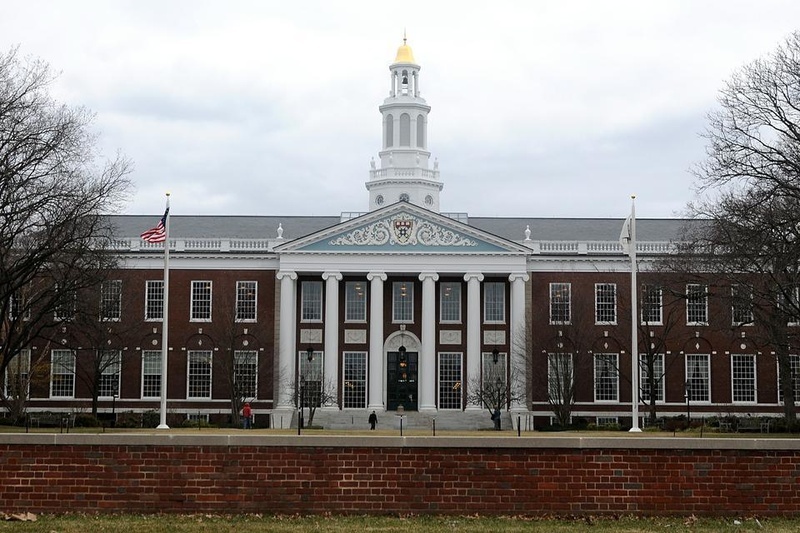 MBA students at HBS also will have access to Harvard’s extensive research material and resources. Many of today’s top companies recruit Harvard students immediately after graduation, some of these companies include Apple, Inc., Citigroup, DuPont and Duke Energy. As a result of HBS’ teaching method and recruiting resources, students of HBS will leave well equipped and ready to make an impact in the business world and in their own personal world as well. Established in 1919 as the Department of Commerce of UNC Chapel Hill’s College of Arts, Kenan-Flagler has a long history of teaching students about business. With an emphasis on personal integrity, accountability, community and teamwork, Kenan-Flagler strives to produce excellence in its students in an effort to make the business world–and the rest of the world as a whole–a more positive place. To ensure students of Kenan-Flagler uphold the school’s core values of integrity and personal accountability, they have a unique approach. Whereas most business schools offer courses in integrity as an elective, the integrity course at Kenan-Flagler is mandatory in the first year for all students. The MBA program at Kenan-Flagler was launched in 1952 and has been making great strides in producing excellence ever since. Offering areas of expertise in a wideange of business studies such as accounting, branding, negotiating and neuroeconomics, the MBA program at Kenan-Flagler gives students all of the tools and knowledge they will need to be successful and dynamic leaders in the industry of their choosing. Kenan-Flagler is committed to imparting on its students the courage to do what’s right and the knowledge to make it happen. Kenan-Flagler also offers to students an online MBA degree program. This online course is the topanked online MBA degree program, ranked by U.S. News in 2016 and by The Princeton Review. The reason this course was ranked as the best by U.S. News is due to the fact that MBA@UNC blends the flexibility of an online course with the rigor and quality of the top-notch business education that Kenan-Flagler already delivers. This program was designed to give students a strong background in business practices and ethics while allowing students the flexibility needed to take their classes on their own time. This allows students to continue their career while working towards being able to advance it at the same time. While attending their online program, students will have access to the same personalized career development services and leadership training resources that are available to UNC’s “traditional” students. The University of Washington’s Foster School of Business is located in Seattle, which is home to a thriving business community; Amazon, Microsoft, Nordstrom, Starbucks and the blossoming startup company scene all make Seattle an excellent location to learn about business. At Fosters, students will have an incredible opportunity of accessing local industry leaders and tap into the knowledge they are willing to impart. Offering over 80 elective courses, 5 certificate choices and 7 concurrent degree options, the Foster School of Business allows students to specialize and customize their education in a way that makes for a dynamic learning environment. With a blend of courses, internship and project experience, international activities, research projects, and independent study, students at Foster will learn both in the classroom and with hands-on experience everything they will need to know to be successful leaders. The MBA program at Foster School of Business is nationally recognized for its excellence in the specialities of both entrepreneurship and accounting. Students at Foster will be able to choose from a full-time MBA program or an evening MBA program, allowing professionals and students both an opportunity at creating a better quality of life for themselves. Over 75 senior executives participate in Foster’s Mentor Program and more than 500 executives visit their campus each year to speak with Foster MBA students, allowing students to not only learn from the exceptional Foster faculty, but to also connect with and learn from influential people that have a long-standing career in the industry. An education at Foster’s fosters an environment of excellence in leadership. The University of Rochester’s Simon Business School located in Rochester, NY boasts one of the highest percentage of international students out of many of the top business schools in the United States. This allows for an opportunity for students to connect with their peers and to learn business on a global scale through the exchange of ideas and business knowledge with fellow students. The Simon School doesn’t rest on its laurels of being an acknowledged powerhouse due to 50 years of experience in innovating and excelling, instead the Simon School is always striving to be a leader of significant education enterprises. With 72 renowned industry experts as members of the faculty at Simon School, students will learn from highly experienced and qualified instructors. The MBA program at Simon School offers eleven specializations to its students, allowing them to focus their education to suit a particular career path. Rochester believes the core to a successful business career is to have a strong background in analytics. This is why the MBA program here places such a strong emphasis on analytics and analytical research. With a strong background in analytics, leaders can look at the data and make the most sound decision available. This is why Simon graduates make for some of the most successful business leaders around. Graduates from this degree program generally graduate with a specialization in two fields, allowing them to further stand out from the crowd. University of Michigan’s Ross School of Business places a strong emphasis on learning business on a global scale. Because of this, students at Ross are encouraged to take part in Global Course Electives and the Global Semester Exchange offered. Through the Global Course Electives, students will be able to gain a strong understanding of international business topics by actively engaging in company visits, cultural activities, and interactive lectures with business scholars and professionals who are currently working in the field. And through the Global Semester Exchange, students can have the opportunity to learn at one of Ross’ distinguished partner schools in places such as Australia, China, Denmark, France, Japan and Switzerland, giving students a strong grounding in global economics and business practices. The MBA programs offered at Ross include weekend MBA programs, evening MBA programs and full-time MBA programs, which allows for a flexible education. The core foundations of the MBA program offered at Ross is analytic rigor, positive business practices, action-based learning and a boundaryless approach. These core tenets ensure that Ross graduates are well-equipped to become industry leaders in various disciplines. With over 45,000 alumni residing and making an impact in 88 different countries around the globe, Ross MBA graduates are excelling at business and entrepreneurship, thanks to the rigorous courses offered at Ross. At the Yale School of Management (SOM), students will learn what they need to know to become leaders in the for-profit, nonprofit, entrepreneurial, and government sectors. With access to Yale’s extensive research and resources and Yale’s experienced faculty, students at SOM will have access to an education that is top-notch. Yale is pioneering the way on how students understand the global economy and global business practices and imposes on its students an obligation to being a leader that shows integrity and personal accountability. The Yale SOM curriculum, with a strong emphasis on thinking about the big picture and with close integration with Yale University, teaches students to understand and solve big challenges in the real world. The MBA program offered at Yale teaches students with a method called “raw” case method. This method of teaching presents students with extensive data about a real business situation, often including video interviews with some of the key actors to give students even more insight into the case. By design, the case contains more information than a student can digest on their own, so students are expected to work in small teams to sift through data, news reports, and interviews, and then build an analysis as a group. This method of teaching allows students to learn critical thinking skills, team-building skills and teaches students how to look at problems from multiple different views to find the best solution. Ohio State University’s Fisher College of Business offers a topanked, small, full-time MBA program that is situated within one of the nation’s largest research universities. With more than 30 academic, professional, philanthropic, cultural and social student organizations and more than 10 Centers of Excellence, Fisher students have access to a myriad of education-enriching social opportunities. All of this combined with Fisher’s wide selection of electives, majors and dual-degree options mean students enrolled at Fisher’s MBA program will have the opportunity to receive a personalized and engaging education experience, one that’s designed to give students the best chance to succeed regardless of what industry they want to work in. The MBA program at Fisher is taught by experienced industry leaders, and with roughly 220 full-time students enrolled in a year, these industry leaders are able to give each student personal attention and assistance due to the smaller class sizes. What this means for Fisher MBA students is a higher chance of being able to fully grasp the coursework which leads to a higher chance of success after graduation. 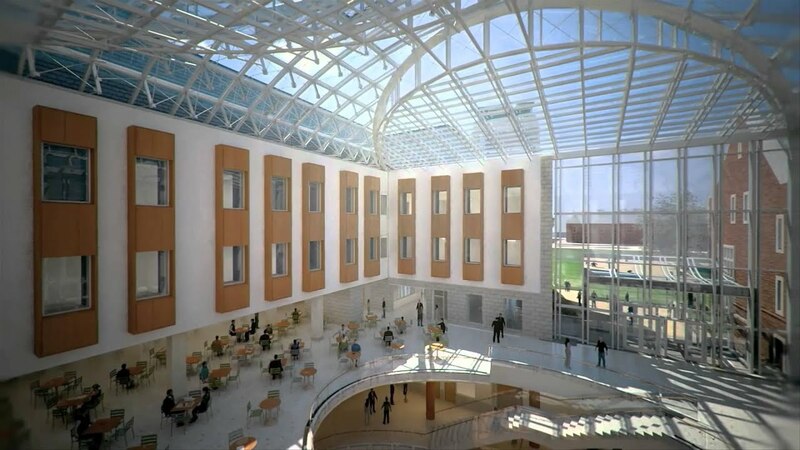 The MBA students here will also have access to Fisher’s extensive library of research and the services of their Office of Career Management, which doesn’t help students to get a job; instead it helps students to obtain a career that is actually meaningful and suits each individual student’s goals in life. The University of Iowa’s Tippie School of Management’s programs are built on the principles of integrity, innovation and impact. The faculty at Tippie are also committed to creating an inclusive atmosphere and they believe diversity is the key to success. With programs such as the Tippie Gateway Program and The Iowa Edge, Tippie is devoted to helping traditionally underrepresented students transition into a successful college life. Many of Tippie School of Management’s extinguished faculty of received awards and recognition within their respective industries, meaning students at Tippie will be mentored by exceptionally qualified industry leaders and innovators. The MBA program at Tippie is ranked #1 in finance worldwide by the Financial Times. With a 3:1 student-faculty ratio, Tippie students will receive the help that they need with personalized one-on-one assistance. Tippie MBA students will also have the opportunity to participate in consulting projects, which will allow them to gain real-world experience in business while the customers gain meaningful results. This allows for a symbiotic relationship between students and industry leaders that is beneficial for all, and it is a relationship that can give students meaningful business connections that will be available to them after they graduate. At University of Florida’s Hough Graduate School of Business, the faculty are committed to giving each student personalized attention to ensure they will be successful and dynamic leaders in the world. They are able to achieve this because the class sizes at Hough are small and there is an exceptional student-faculty ratio. The UF MBA community is a highly interconnected and personal network of students, faculty and staff focused on one key objective: producing the next generation of elite business managers across a wideange of industries. Offering students the chance to participate in Global Immersion Experiences and exchange programs to diverse locations such as Argentina, Brazil, United Arab Emirates, Turkey and China, the program at Hough not only focuses on teaching students on a personal level, but to also expose them to global economics and business practices, making for wellounded future managers. The MBA offered at UF include both one-year and two-year full-time MBA programs. While enrolled in these programs, students will be able to personalize their education with a wide variety of electives, concentrations and certifications. With case competitions, experiential learning and guest speakers that include some of the top industry leaders available, students enrolled at Hough will be challenged to go above-and-beyond what some other schools expect from their MBA students, and that’s why Hough produces some of the most successful industry leaders around. UF also offers its MBA students access to their Career Accelerator Program which helps current students capitalize on development activities that will enrichen their MBA experience. The program is customizable and includes a number of experiential learning opportunities including innovative academic coursework and co-curricular experiences. Hough also offers an online MBA program to its students, allowing for greater flexibility in obtaining an education. This MBA program is ranked #3 in the world by Financial Times in 2016 and is just as rigorous and dynamic as the MBA program offered on-site is. This ranking is the third consecutive year it has been ranked in the top 5 among global online MBA programs, and #1 among all U.S. programs by the Financial Times. Hough has been committed to delivering an exceptional distance learning experience for the past 15 years, and is continually seeking ways to polish their program to give students the best distance learning environment possible. With two online programs available–a 27-month program for students of all undergraduate majors, and an accelerated 16-month program for business majors–UF allows students to gain an edge in their career without hindering their ability to continue forward in their career at the same time. The Rutgers Business School of Newark and New Brunswick is housed in a state-of-the-art facility with all the amenities that one would expect from a top business school. Rutgers Business School is the #1 Public MBA program in the Tri-State area (NY, NJ, CT) and #3 in employment nationwide out of 470 MBA programs (US News & World Report, 2016) and has strong ties with the top global companies operating in NY and NJ, such as Bayer, Verizon, Liberty Mutual and Dell. With an atmosphere that most students say is easy to fit in with and nationally topanked programs in a wide range of fields including Pharmaceuticals, Finance and Supply Chain Management, Rutgers makes advancing your career fun and easy. The MBA program at Rutgers offers students the choice between a full-time MBA program, a part-time MBA program and many dual-degree programs. Founded in 1929, Rutgers Business School has been accredited since 1941 and boasts a strong network of 33,000 living alumni that students can reach out to and learn from. Boasting a large business library which provides students with assistance in doing research in a variety of business and management topics and with a streamlined career assistance program which helps to place graduating students into full-time careers after graduation, Rutgers can be a great place for professionals seeking to further their career to obtain an MBA. As the top producer of African-American undergraduates, Howard University is continually making great strides towards making a positive impact on the world. With the motto Veritas et Utilitas, Truth and Service, representing a key part of their identity as an educator, they educate students under this core belief of integrity and helping others. This historically black private college has had a history spanning 150 years in producing excellence and to the development of distinguished, historically aware, and compassionate graduates and to the discovery of solutions to humanity’s greatest problems in the United States and throughout the world with an abiding interest in both domestic and international affairs. The MBA Program at Howard seeks to become a world leader in the development of new knowledge and solutions to major business and societal problems. Howard School of Business ranked among top 10 MBA programs; earns #1 spot by Princeton Review as the “greatest opportunity for minority students.” and US News and World Report recognized Howard University for “strong commitment to teaching” at top 100 universities. With many accolades and a history of producing distinguished individuals, Howard University gives students an excellent opportunity to obtain an exceptional education. The University of Notre Dame’s Mendoza College of Business is a Catholic business school that fosters academic excellence, professional effectiveness and personal accountability in a context that strives to be faithful to the ideals of community, human development and individual integrity. Principles of Catholic Social Teaching are rooted in the Gospels, in writing that addressed injustices during the Industrial Revolution, and in continuing Church documents on economic justice. The core business practices that Mendoza teaches are human dignity and stewardship–that is to see the inherent value in all people and to realize that as a leader you’re a temporary steward of resources and should seek long-term economic value. The MBA programs offered at Mendoza include a one-year full-time MBA program, a two-year full-time MBA program, an Executive MBA program and dual-degree programs. With the completion of any of the MBA programs offered at Mendoza, you’ll be recognized as a highly capable, ethics-driven business strategist who can rise to any challenges that the competitive, constantly changing business environment can throw at you. Another aspect of obtaining your degree from Mendoza is the fact that you will have Notre Dame’s worldwide network and globally respected brand to open doors for you in your career and you will have access to Notre Dame’s career programs that will help to place you in a full-time career that suits your capabilities. UC Davis Graduate School of Business has campuses in Northern California’s economic power centers, which allows attending students to gain valuable feedback and lessons from some of today’s top industry leaders. Ranked 15th globally for faculty quality and 13th worldwide on faculty research productivity with their 70+ internationally renowned research faculty, visiting professors and guest lecturers, UC Davis offers students a high quality education in business. And because ten of the Fortune 100 are headquartered in Northern California, including Apple, Hewlett-Packard, Chevron and Wells Fargo, students are often offered jobs within these corporations after graduation. The MBA programs offered at UC Davis are full-time MBA programs, Executive MBA programs and part-time MBA programs. The full-time MBA program at UC Davis is ranked in the top 10% for Full-Time MBA by the U.S. News and World Report. The UC Davis Full-Time MBA program also ranked among the top 5% in average GMAT score and among the top 8 in acceptance rate. Due to the location of the school’s campus, students will have quick access to established Fortune 500 firms, the global technology industry, Pacific Rim trade, new startups and a financial ecosystem of venture capital and international banking, allowing graduates from UC Davis to make a positive impact in the world and to become successful leaders in a variety of industries. At Vanderbilt University’s Owen Graduate School of Business Management the pillar of their leadership experience is their Leadership Development Program. This Leadership Development Program utilizes a myriad of resources to teach students how to become effective and successful leaders in the world. Vanderbilt is the only business school that has partnerships with KornFerry and Hogan Assessments, top leadership development organizations used by Fortune 500 companies and because of this, the leadership development at Owen is top-notch. Founded in 1873, Vanderbilt has more than 2,500 faculty and is located a mile and a half from downtown Nashville, a city with a thriving business scene. The MBA program at Owen offers students access to Owen’s Financial Markets Research Center (FMRC), The Owen Entrepreneurship Center and the Cal Turner Program for Moral Leadership in the Professions. These programs allow students to gain access to a wealth of research materials, supplementary business education and career assistance. Vanderbilt University is a private research university of about 6,500 undergraduates and 5,300 graduate and professional students, and is ranked amongst some of the most prestigious universities recognized all over the world. This means students that graduate from Owens will have doors opened for them in their career due to Owen’s prestigious reputation and it’s large network of alumni. Texas A&M University’s Mays Business School educates more than 6,000 undergraduate, master’s and doctoral students in accounting, finance, management of information systems, management, marketing and supply chain management and has consistently been ranked amongst one of the best public business schools for years. Mays regularly partners with national and regional business executives and business leaders to deliver a relevant and dynamic education shaped by industry expectations and insights. 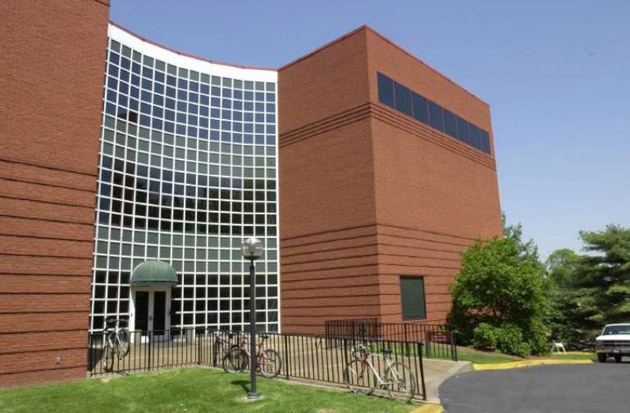 At Mays, there is a U.S. Department of Education-designed Center for International Business Education and Research (CIBER) which has been in operation at Mays since 1990. CIBERs are established at select schools to improve America’s capacity for international understanding of global economics and business practices. The MBA program at Mays allows students to obtain a regular full-time MBA or to choose a dual-degree program. This MBA program was ranked as the 9th best U.S. public MBA program (27th overall) by the U.S. News & World Report in 2016. The Mays MBA program helps students advance their careers by excelling at core business knowledge, gaining meaningful experience from high-impact learning experiences, developing personalized leadership styles and methods and by leveraging the power of the global Aggie Network; the alumni group of Texas A&M. At Johnson Cornell University, students will be attending a school whose campus is located in Ithaca, New York, an area with a booming business industry and one that has strong ties with both New York City’s and New Jersey’s business industries. Johnson believes that successful leaders need interdisciplinary knowledge to be able to solve complex problems in the real world, and, as such, Johnson ensures students get a wellounded education comprised of multiple facets of the business world. Cornell also believes in a global approach to business and that’s why students will have access to their Center for Sustainable Global Enterprise, a program that creates opportunities for students to learn business on a global level. The MBA program at Johnson is offered in both a one-year and a two-year program. It also allows students to greatly specialize and personalize their education with a multitude of electives and dual-degree programs. The MBA program also mandates students participate in a Immersion Learning program, a program that places students in a specific industry that a student has an interest in for a semester to obtain hands-on experiences in a real world setting. Cornell is also home to a Entrepreneurship and Innovation Institute which fosters the three most critical components of entrepreneurship and innovation: knowledge, networking and opportunity. BYU Marriott School is a school for members of The Church of Jesus Christ of Latter-day Saints. With weekly devotionals accessible by students, Marriott not only hones their students’ minds but also their spirits. Marriott also approaches admissions in a “holistic manner,” meaning they evaluate each application in its entirety, and base their decision on things such as academic and professional achievements which is weighed against a student’s potential ability to work in teams and large groups and the overall contribution an individual would bring to the class they are hoping to join. The MBA program offered at Marriott allows students to select one of five majors. These majors are: Entrepreneurship, Finance, Marketing, Global Supply Chain Management and Organizational Behavior/Human Resources along with numerous electives and exchange student opportunities. The BYU MBA uses both case method instruction and theory-based instruction and there are also many opportunities for experiential learning throughout the program, allowing students to obtain a solid grounding in business practices and etiquette. Carnegie Mellon’s Tepper School of Business is one of the few MBA programs able to deliver a high level of preparation and training in both leadership and strategic analytics. Placing a large emphasis on strategic analytics, Tepper believes every leader should be able to look at a data set and make a sound decision based on the data provided. And because Tepper remains among the smallest of the top 15 business schools in America, the Tepper School MBA program is able to provide personalized leadership coaching and mentoring from its faculty to its students. Available to students of Tepper is the Accelerate Program which complements the Tepper School’s MBA curriculum by providing personal leadership development opportunities outside the classroom setting in the real world. The MBA programs available at Tepper are full-time, part-time, executive and part-time online hybrid. The two part-time programs offer the same academic experience and options as Tepper’s Full-Time MBA program, because they are committed to providing each of their students a high quality education regardless of the format. It’s because of this commitment that Tepper is consistently ranked amongst the top 15 best MBA schools in the country. Students enrolled in Tepper’s MBA program will have access to all of Carnegie Mellon’s resources and professors, as the school does not have departments to separate students, faculty or resources. The part-time online hybrid MBA course offered at Tepper allows professionals who are unable to attend the weekly, on-campus classes to earn the same Tepper School MBA and obtain the same Tepper School MBA education as their full-time and part-time students through a course that blends flexible, part-time online classes with on-site learning opportunities. Online students study from anywhere, and participate remotely in weekly synchronous and asynchronous classroom sessions. With class sizes ranging from 50-60 students, online MBA students will be able to receive the same one-on-one assistance that the traditional on-campus students receive. 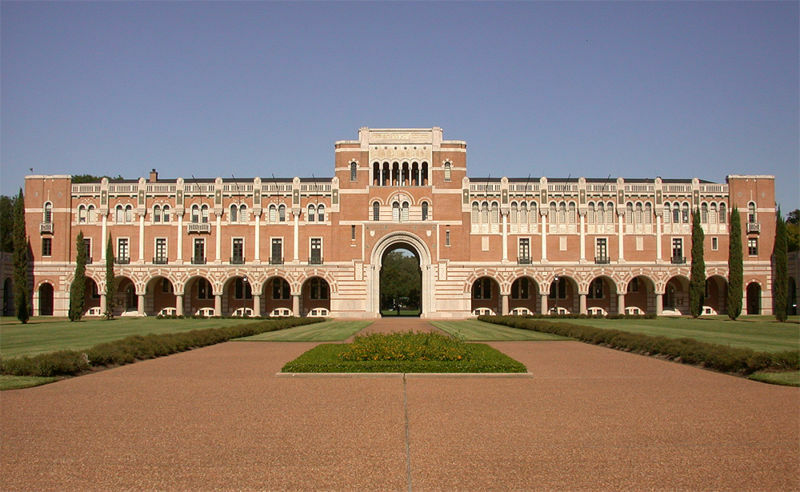 Rice University’s Jones Graduate School of Business allows students to study abroad, create their own company with the Rice Business Plan Competition and to participate in the Action Learning Project (ALP), Rice’s field-based consulting gig. Now entering its 16th year, the ALP is a thirteen-week, team-based consultative project, where MBA student teams tackle a company’s tough challenges and critical needs to provide detailed and actionable recommendations, which provides students with invaluable real-world experience and provides companies with tangible results. This allows students to network and form lasting relationships with these top companies. The MBA program at Jones is a little different from traditional MBA programs. First-year students are limited to core business practices and theories and students don’t get to take electives until the second year. This is due to the fact that Rice believes these core practices are what give students a solid foundation in learning how to become successful leaders. After their first year, students are allowed to take electives to fully customize and specialize their education. Students will also have access to the school’s Career Management Center (CMC) which partners with students and alumni to meet their professional development goals and to give them a vector to grow as professionals. NYU Stern opened in 1900 and has had a long history of producing excellence in leaders. Located in the heart of Greenwich Village, Stern is one of the nation’s top management education schools and business research centers. With the newly created Center for Sustainable Business, Stern aims to teach students about sustainable business practices and teaches students how to address this century’s environmental and societal problems in an effort to produce environmentally- and humanitarian-conscious students. With more than 105,000 alumni in more than 125 countries, Stern has produced professionals that make an impact worldwide. The MBA program at Stern allows students to graduate with an MBA in General Management and students can select up to three specializations or choose not to specialize at all. Stern offers one of the largest selections of elective courses among top business schools, allowing students to get the education that they want. Some of these specializations include: accounting, banking, economics, marketing, global management, product management and Supply Chain Management and Global Sourcing. Stern’s MBA program is excellent for students looking to specialize in multiple disciplinaries. At Boston University’s Questrom School of Business, students will be taught how to create value for the world. Questrom strives to teach students the bigger picture of an organization, as well as the organization’s place in the larger society. Along with being taught functional and industry-specific skills, students at Questrom will also explore the ethical, global, and social responsibility considerations of managerial decisions and what their possible ramifications could be. With a history of 100 years, Questrom has always been striving towards producing ethical leaders that will make a big impact in the world. The MBA program offered at Questrom includes full-time two-year MBAs, an Executive MBA program and dual-degree programs. The MBA programs at Questrom are designed to help students thrive in three key industries that they have deemed as the most likely to continue growing. These areas are: digital technology, health and life sciences and social enterprise and sustainability. As such, Questrom places a strong emphasis on learning key business strategies and leadership qualities that will help to define a professional in these industries. In the first year Questrom students get assigned to a cohort: a group of 50-55 students who take core courses together. You’ll work together on assignments and projects, often coordinated between courses, allowing students to learn networking and teamwork skills. At Stanford Graduate School of Business, students will learn from and have access to world-class faculty, distinguished guest speakers, and executives and leaders of various industries. With access to seven schools on the same campus, students at GSB will have the opportunity to specialize and learn what they wish and to broaden their career possibilities in a manner that’s not possible at many other schools. These schools cover business, earth sciences, education, engineering, law, medicine, and humanities and sciences. A recent study by two Stanford professors determined that alumni from across Stanford University have collectively created nearly $3 trillion in economic impact each year, and have generated 5.4 million jobs. The MBA program at GSB is a standard two-year full-time MBA program. Students enrolled in this program will be able to work with GSB’s Career Management Center (CMC) advisors to create a personalized career plan, develop their personal and professional skills, make strategic decisions, and achieve their goals. And this support doesn’t end when students graduate; they will be able to benefit from Stanford GSB resources throughout their life. The MBA program here emphasizes analytical and creative thinking in its students, which helps to drive them to success in their respective industries after graduation. At the College of Business of Illinois, first-year students will do extensive coursework in business fundamentals and second year MBA students at Illinois are encouraged to customize their MBA by taking elective classes both inside and outside the College of Business. With focuses in Corporate & Social Responsibility, Finance, General Management, Healthcare Management and HR amongst many others, the College of Business of Illinois offers its students a wide skillset so they can be successful in numerous industries. Illinois is also committed to producing students that know how to effectively manage company assets to address challenges of limited natural resources and unfair or unethical business practices. The MBA programs at Illinois includes a two-year full-time MBA program, an Executive MBA program and an online MBA program. At Illinois, students can combine an MBA degree with any Master’s or PhD program available on campus. Joint degree students will be able to increase their marketability to potential employers by adding a comprehensive business skill set to their resume. MBA students will also have access to Illinois’ extensive library of business research and their extensive network of alumni, many of whom are leaders in various industries. Furthermore, top students at Illinois can earn substantial scholarships, up to and including full tuition. They also offer a Scholarship Case Competition where students compete for scholarships to the program. Illinois offers an online MBA program, titled iMBA. With this program, students will be offered the same high-quality education that traditional, on-campus students will receive, but with the added flexibility of taking online courses. This course is completely online, but still affords students the ability to interact with and get assistance from the faculty of Illinois. Illinois has also partnered with a third-party company known as Coursera, which conducts and applies ongoing research to innovate and improve the distance learning course offered by Illinois. This allows Illinois to have a state-of-the-art and user-friendly distance learning course, and at the same time, they are able to keep the total cost of the program under $22k. That makes it “a breakthrough,” according to Poets & Quants, the definitive source of information and analysis about MBA programs. Established in 1918, the Fox School of Business, Temple University has a distinguished and storied tradition of preparing business leaders, professionals and entrepreneurs for successful careers in a variety of industries. Today it is the largest, most comprehensive business school in the greater Philadelphia region, and among one of the largest in the world with over 8,000 students, 195 full-time faculty and more than 65,000 alumni worldwide. The programs offered at Fox continue to be ranked nationally by leading business industry publications and organizations, such as the Financial Times, The Economist, U.S.News & World Report, Business Week and The Princeton Review/Entrepreneur magazine, which shows their commitment to delivering a top-notch education to their students. The MBA programs at Fox include full-time, part-time, executive and online MBA programs. The part-time MBA course is actually a hybrid class, as students can do a portion of their coursework online. The full-time MBA includes two global immersion trips that strengthen student’s understanding of the global economy and global business practices. All three MBA programs offered by Fox incorporate business competencies which has been identified by more than 300+ employers as crucial to business success, meaning students will learn the most relevant information needed to become top industry leaders. The Online MBA program at Fox was ranked 1st in the nation for flexibility and quality by the U.S. News and World Report in 2016 and was ranked 1st for military veterans by the same publication. This program gives students the same strong grounding in business practices and theories as Fox’s traditional full-time and part-time MBA programs. Students enrolled in this program will have access to the same resources and research and will have the ability to obtain specialized assistance from faculty; the same as on-campus students. This ensures that each student seeking to obtain a degree from Fox will all get the attention and help they deserve. In 1928, George Washington University first opened. Today, George Washington if flourishing as one of the nation’s top business schools. Situated in Washington, DC, GWU students have a unique relationship with the nation’s government and the companies that surround our capital. Due to the unique relationship with the nation’s government, it’s no wonder many of GWU’s alumni are public officials and senators. GWU’s MBA students are being educated on the need of smarter business, business that considers its impact on the world as well as the bottom line. GWU infuses each of its MBA programs with the principles of ethical leadership, sustainability, social responsibility, and corporate citizenship. The MBA programs offered at GWU include full-time, part-time, executive and online MBA courses. Students enrolled in the MBA programs offered can obtain a highly-specialized education due to having access to over 200 electives and 15 concentrations and certifications. In addition to the specialized education students will receive, they will also have access to GWU’s extensive research library covering many topics ranging from business acumen to business etiquette and to GWU’s large and multinational alumni network. There are two online programs offered by GWU, a regular online MBA program and a special online MBA program targeted to those wishing to enter the healthcare industry. GWU’s institutional and professional relationships in the area enable them to provide their distance-learning students with opportunities to immerse themselves through an optional, four-day residency course in DC, class projects, digital course materials, live learning opportunities, and co-curricular experiences, enabling these online students with unique opportunities not offered by other business schools. Even though all of the mandatory coursework is available fully online, there are in-person global and experiential opportunities as well. Indiana University’s Kelley School of Business was founded in 1920, and they offered their first MBA in 1947. Since then, they have provided students with a program that’s consistently ranked among the top business schools nationally and internationally. The value of a Kelley MBA extends beyond a student’s two years on campus, they will not only receive the dedicated professional development during the program but will have access to Kelley’s network of alumni, which is more than 100,000 strong and is the world’s largest business alumni network. Kelley was ranked as 1st in best professors, 7th family friendly school and 10th in best campus environment in 2016 by the Princeton Review. The MBA programs offered at Kelley include a full-time two-year MBA program, dual-degree programs, executive program and an online program. With an intentionally small class size, Kelley students are able to get the one-on-one assistance they need from faculty in order to succeed. Kelley also offers students the ability to study abroad in places such as China, Japan, Switzerland, Italy and Israel amongst many others, which allows students to gain a strong understanding of global economics and global business practices, on top of the opportunity to see and experience new things. These global partners offer graduate-level business courses in English over a semester, summer, or a shorter period of time. The online program at Kelley offers the same education as their on-campus MBA programs, so you will be obtaining the same level of faculty dedication and assistance that befits a nationally ranked top 20 school. As a distance learner in this program, students will cover topics such as business law and ethics, economics, marketing, financing and operations amongst others, and with a wideange of electives and other certifications, students will be able to obtain a specialized education that has consistently produced dynamic industry leaders. Kelley also offers an elective AGILE course each quarter. Current AGILE experiences take students to global hubs of emerging economic opportunity, such as New Delhi, India and Sao Paolo, Brazil. U.S. News & World Report ranks ASU #1 on its “Most Innovative Schools” list, this ranking was based on ASU’s curriculum, faculty, students, campus life, technology and facilities. ASU is well-known for its small, personalized classes and a high return on investment for tuition, allowing students to not only obtain a high-quality education but to be able to turn around and utilize their high-quality education to obtain a high-paying career. ASU also has close ties with Shanghai, in an effort to accelerate China’s pace of global integration and to provide students that make it into the program a better understanding of global business practices and economics. The MBA programs at ASU includes full-time, part-time, executive and online MBA programs. These programs will allow students to customize and specialize their education with a multitude of electives and certifications. ASU students will have access to the school’s Graduate Career Center, which will helps students to find the career that suits their personality, wants and goals in life. With coaching sessions, workshops, online resources and career fairs and the large network of alumni, ASU students will be able to receive a large amount of assistance in career finding. U.S. News & World Report‘s 2016 Best Online Bachelor’s Programs lists ASU #11 overall for undergraduate online programs and the program is ranked 5th Best Online MBA by the same publication. The rankings took into account such factors as graduation rates, indebtedness of new graduates, and academic and career support services offered to students. This online program is taught by the same world-class instructors and faculty as ASU’s traditional on-campus programs, and the faculty at ASU are dedicated to delivering students with a wellounded and life-changing educational experience. Michigan State University’s Eli Broad College of Business curriculum is designed around the idea that teamwork, creativity, innovation, and thought-leadership are the key to creating business leaders who make a positive impact in the world. Michigan State University, a member of the Big Ten Conference, is the largest education institution in the State of Michigan (7th largest in the United States) and was founded in 1855 with the College of Business being accredited by the Association to Advance Collegiate Schools of Business (AACSB) since 1953, the year of its establishment. Eli Broad College of Business has been offering MBAs since 1960, and has been excelling at producing dynamic leaders since then. The MBA programs offered at Eli Broad are a full-time MBA program, and a Weekend Executive MBA program. The full-time program is for students with at least 2 years prior work experience and the weekend MBA program is for professionals with significant work experience. The full-time program was ranked 35th in the nation and 14th among public institutions by Businessweek in 2012, 62nd in the world by Financial Times in 2013 and 19th in the nation by Forbes in 2011. And the weekend MBA program was ranked 100th in the Financial Times 2011 Global Executive MBA rankings and 35th in the Businessweek 2011 Executive MBA rankings. The Carlson School of Management was founded in 1919 in response to requests from various business people and industry leaders in the Twin Cities to establish a business school at the University of Minnesota. Due to this, The Carlson School of Management has had a long history of gaining invaluable feedback and guidance from top industry leaders in what they expect from business students that they hire. This allows Carlson to have a streamlined and comprehensive curriculum that provides its students with the strong grounding in business policies and etiquette they will need to be successful. In 1920, the University of Minnesota became the 18th school to be accredited by the Association to Advance Collegiate Schools of Business (AACSB). The MBA programs offered at Carlson are a full-time MBA, part-time MBA, part-time online MBA and an Executive MBA program and a unique Industry MBA program which is a one-year program for current or past congressional staffers that is offered primarily online. In these programs, students will be able to work on high-profile cases for successful corporations through Carlson’s Enterprise Program. Minnesota ranks 6th best state for business and is home to 18 Fortune 500 companies, allowing students access to case studies and networking opportunities from these top companies. The online program offered at Carlson is ranked 1st in the nation as most flexible, 3rd for U.S. public university business faculty for intellectual contributions and 11th in U.S. News & World Report‘s Best Part-Time MBA Program. With online and condensed electives being available in year two and on-campus opportunities such as career workshops, professional conferences, case competitions, and other student development events and even global experiences available, distance students will be afforded the same quality education as Carlson’s traditional MBA students. Online students will also have access to virtual and phone advising from faculty and to Carlson’s large network of professional alumni. Baylor University is a Baptist affiliated school located in Waco, Texas. With the motto Pro Ecclesia, Pro Texana–For Church, For Texas–Baylor is a faith-based educator that is an excellent choice for Baptist students. Approximately 3,800 students and 200 faculty and staff comprise the School, and Baylor University is the top employer in the city of Waco, allowing students a chance to work for the same school they obtain their MBA from. With excellent scholarship opportunities for students–upwards of 75% of students are awarded tuition remission ranging from 25% to 100% of cost–Baylor can give students a big return on their investment. The MBA programs at Baylor include a full-time MBA program, an Executive MBA program and an online MBA program. Baylor MBA students will have access to Baylor’s Prison Entrepreneurship Program (PEP). This program is a prison outreach program from a business perspective. Baylor students volunteer their business knowledge to teach inmates the skills needed to run a business when they are released from prison. This not only enriches the prisoner’s life, but also the student’s life and allows the student to learn what it’s like to mentor and guide another individual, an indispensable skill that students will need later in their careers. The online program offered at Baylor is an accelerated 12-16 month program offered fully online. The Baylor MBA Online program is ranked No. 69 online MBA programs in the nation by U.S. News & World Report (2016). Online MBA students will receive the same topanked MBA education as Baylor’s traditional students, have the same access to resources and research, assistance from Baylor’s 1,250 faculty members and Baylor’s network of 120,000 living alumni. This online program allows Baptist professionals to obtain an MBA all while having more schedule flexibility than traditional MBA students have. UCLA Anderson School of Management is located in Los Angeles, California. Los Angeles is home to 18 million people, from 140 countries, speaking approximately 86 different languages making Los Angeles one of the most culturally diverse places in the United States. Los Angeles makes an ideal home for more than 300,000 small entrepreneurial businesses, and its vibrant tech scene produces four times the GDP of Silicon Valley. All of this combined means that MBA students that attend UCLA Anderson will have access to a dynamic globally-centered business education. The MBA program at UCLA Anderson is a standard two-year full-time MBA program. This programs teaches students with a mixture of experiential learning, lectures and guest speakers. The MBA curriculum at UCLA offers students flexible scheduling for their core coursework and electives, of which there are many to choose from to allow students to fully customize and specialize their education. UCLA is partnered with many top corporations such as TED and Google, allowing their students to learn from these corporations. Google executives come to UCLA classes to speak to students on a wide variety of business topics and TED offers UCLA students a exclusive UCLA/TED event for students to hear lectures by business thought-leaders. The University of Texas at Austin’s McCombs School of Business is one of the largest and most distinguished business schools in the country. McCombs is one of the very few schools in the nation to receive top marks in nearly all of the business specialty areas at both the graduate and undergraduate levels, which is ranked annually by U.S. News & World Report. Kiplinger’s named Austin the top city for business for the next decade, allowing a lot of room for growth in Austin’s business scene for students attending McCombs. Over 800 successful semiconductor, energy producers, computer and software companies call Austin, Texas home and other industries such as biosciences, multi-media, film, music, logistics and distribution are well represented and growing within the city. The MBA programs at McCombs include a standard full-time MBA course, a part-time evening MBA course and an executive MBA course for professionals seeking to further their careers even more. The full-time MBA course was ranked 20th in the United States by Financial Times in 2016 and the executive MBA course was ranked 17th in 2016 by U.S. News & World Report. These MBA programs offer students a cohort-based education that can be specialized with many elective offerings and with a focus in one out of seven core foundations such as marketing or finance. As an MBA student at McCombs, students also gain access to McCombs extensive network of alumni and to McCombs Career Services’ Employer Relations team which will assist students in finding a career that suits their capabilities. The University of Wisconsin-Madison School of Business is a public research university in Madison, Wisconsin, United States. Founded when Wisconsin achieved statehood in 1848, it was the first public university established in Wisconsin and remains the oldest and largest public university in the state. The UW is one of America’s Public Ivy universities, which refers to the top and best public universities in the United States capable of providing a collegiate experience comparable with the Ivy League school group. What this means for UW-Madison students is they will be attending a school that has had a long history of providing an excellent education to aspiring industry leaders. The MBA programs offered at UW-Madison are a full-time MBA program, an evening MBA program, an online program and an executive MBA program. With 197 full-time MBA students, 164 evening MBA students and 81 executive MBA students, the class sizes at this top Public Ivy school are relatively small, allowing students to receive a more personalized education with the opportunity for more one-on-one assistance from the school’s distinguished faculty. Individuals enrolled in UW-Madison’s MBA programs will gain access to their network of 38,000 alumni and all of UW-Madison’s business research libraries, a valuable asset for any student wishing to learn even more about business practices, etiquette and theories. The online MBA program offered at UW-Madison is a 30-credit online degree program offered in collaboration with UW–Eau Claire, UW–La Crosse, UW-Oshkosh and UW–Parkside. This online program is usually completed in 2 to 3 years and students can bypass the standard admissions requirements via enrollment in UW’s Consortium’s Foundation Program. Most courses offered in the Consortium’s Foundation Program are two credits and run for eight weeks. These courses do not count towards the MBA programs required 30 credits, but they do come with the option to obtain a business certificate. Northeastern University’s D’Amore-McKim School of Business has a typical entering class includes students from fifteen or more countries other than the United States, allowing for a culturally diverse and dynamic education setting where students can both learn and teach about different perspectives, global economics and business practices, fostering an inclusive and diverse environment. With a required course in career management, the school ensures that graduates are adept both at securing their first position in their chosen career following the degree and advancing their careers in subsequent steps. The MBA programs offered at D’Amore-McKim are a full-time MBA, part-time MBA, executive MBA, dual-degree programs and an online MBA. The full-time MBA program allow students to participate in a 6-month program known as the D’Amore-McKim Corporate Residency. This program allows students to intern in some of the top corporations, leading to a more in-depth business experience and valuable networking connections with those within the corporation and the part-time MBA program allows students to specialize their studies in Corporate Finance, Corporate Renewal, Entrepreneurship, Healthcare Management, International Business, Investments, Marketing, Mutual Fund Management, Supply Chain Management, or Technological Entrepreneurship. The finance career track is further subdivided into Investments and Corporate Finance subtracks. The online MBA program at D’Amore-McKim is ranked as the 4th best Online MBA by the Financial Times in 2016. Students enrolled in the online MBA program can choose from 8 in-demand concentrations, and having the coursework 100% online, this program allows for not only flexibility in when and where students obtain their education but also flexibility in the obtained education itself. D’Amore-McKim online MBA students will also have access to all of the school’s resources and research, the school’s expansive alumni network consisting of over 40,000 professionals and to the school’s exemplary faculty, allowing for a top-notch online education experience. Since its establishment in 1928, Louisiana State University’s E. J. Ourso College of Business has been continually offering students a nationally ranked business education. LSU E. J. Ourso College of Business has also been recognized nationally and internationally for programs that promote entrepreneurship, stimulate economic development and that have set the standard for internal audit programs. This school, located in Baton Rouge, Louisiana, gives students the opportunity to work with top industry leaders due to the city’s economic profile. Baton Rouge was ranked in the top 20 cities for economic strength by Portfolio Magazine and was ranked as the 9th best place in America to start a new business by CNN. With the largest industry being petrochemical manufacturing and production, Baton Rouge also has burgeoning startup, medical and film production scenes. The MBA programs offered at LSU Ourso are a full-time MBA, professional MBA, executive MBA, dual-degree and online MBA programs. All accepted students of an MBA program are automatically considered for the many scholarships awarded through the E. J. Ourso College of Business. Scholarships are awarded based on need and/or prior academic performance. In the LSU Flores MBA programs, students can specialize in entrepreneurship, finance, human resource management, internal auditing, international business/emerging markets, marketing, supply chain management, systems audit, or create a customized curriculum that allows a lot of flexibility and specialization. The online MBA program at LSU Ourso is a 42-credit hour program which can be completed in as few as 18 months and consists of the same top-tier education that LSU Ourso’s traditional on-campus students receive. Distance learners enrolled in this program will also have access to LSU Ourso’s extensive business research and resource libraries and their vast alumni network of professionals in a wideange of industries and from many different countries. With an education built around an individual’s personal schedule and with many start dates throughout the year, LSU Ourso’s online MBA program is highly flexible and dynamic. The University of Miami School of Business Administration, located in Coral Gables, Florida, is a top 50 business school that teaches its students with a mixture of experiential learning opportunities, lectures and guest speakers. The school, located in one of the most dynamic and rapidly growing centers for international businesses, gives students the opportunity to learn business and economics on a global scale. The Financial Times rates the School’s faculty among the top 35 business school faculties in the United States. and among the top 40 faculties in the world, meaning students will obtain their education from a very high-quality faculty. The MBA programs offered at the University of Miami School of Business Administration are a full-time MBA program, an executive MBA program, an online program and a professional MBA program. The University of Miami has sent more than 3,500 students to study abroad, allowing them to gain an even further developed understanding into international business methods and etiquette. The Financial Times ranks the University of Miami MBA program as 98th in MBA programs worldwide. The online professional MBA program offered at UM School of Business Administration is a 42-credit hour degree that is normally completed in 24 months. This program comes with an optional Miami residency and has tuition reductions and scholarships available for qualified applicants, these scholarships and tuition reductions are generally worth 25% of the cost of tuition. This online MBA program offers students incredible flexibility, access to UM’s library of business research and resources and UM’s network of alumni of more than 180,000 professionals in a variety of industries. Georgetown University, located in Washington, D.C. was founded in 1789, and it is the oldest Catholic and Jesuit institution of higher education in the United States. The McDonough School of Business (which is commonly abbreviated as MSB) is one of the four undergraduate and one of the five graduate schools of Georgetown University. Founded in 1957, MSB has been providing Catholic and Jesuit students a nationally ranked education for over 50 years. Because MSB is located in the nation’s capital–which has a large business sector–students will have access to many top industry leaders’ viewpoints and knowledge. The MBA programs offered at MSB are a full-time MBA program, an Executive MBA program and an Evening MBA program. As a Catholic and Jesuit university, Georgetown stresses ethics and social justice in its curriculum; the McDonough School of Business retains two Jesuits for student guidance in these areas of core values. Students enrolled in MSB’s MBA programs will have access to the school’s network of alumni of 10,500 professionals and the top employers of MSB graduates include Goldman Sachs, Morgan Stanley, Credit Suisse, JP Morgan, Barclays Capital, Pricewaterhouse Coopers, Deloitte, Bank of America, IBM, and Citigroup. The University of Texas at Dallas is a public research university in the University of Texas System, and was established in 1961. 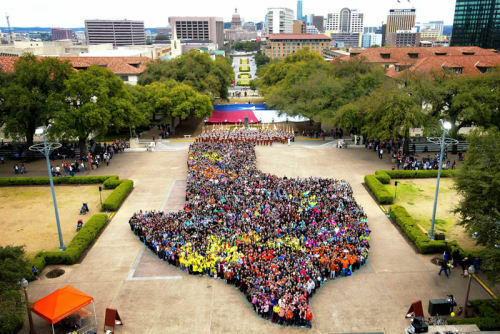 The U.S. News & World Report‘s 2013 edition of Best Colleges ranked the University of Texas at Dallas in its top tier among national universities. In the same publication’s report for 2016, the university ranked at 140th nationally and 71st among public universities, meaning students that attend UT at Dallas will receive a nationally ranked education from a high-quality faculty. All freshmen admitted to the university are automatically considered for an Academic Excellence Scholarship Award and UT at Dallas is also among only 13 universities whose students are eligible for consideration for Terry Scholarships, the school became part of this program in 2006. The MBA programs offered at UT at Dallas are 5 different MBA programs with more than 100 electives available, in 15 concentrations with 14 dual-degree options. These MBA programs are a full-time MBA program, professional MBA program, executive MBA program, dual-degrees programs and an online MBA program. These MBA programs offer students a flexible, personalized and specialized education opportunity. The Full-Time MBA program at UT Dallas is ranked at 33 in U.S. News & World Report‘s 2016 rankings, while the part-time MBA program is ranked at 29. The online program offered by UT at Dallas is ranked 2nd in the nation and the school’s MBA specialty of information systems is ranked 16th by U.S. News & World Report. This program offers students a very flexible option for obtaining an MBA, with all of the coursework 100% online. This online program offers students a high-quality education and access to UT at Dallas’ network of alumni and the school’s catalogue of business research and resources. This is the same nationally ranked education that on-campus students will receive, with the only difference being the electives selection. Not all of the electives available at UT at Dallas are available in an online format, however this online MBA program is still able to be highly specialized with the electives that are offered. We hope you found this list of the top 50 best value business schools to be informative and helpful, and we wish you luck in your future career and educational endeavours!